1/4" Teflon ® PTFE Tubing Colors Stocked are Black, Blue, Gray, Green, Orange, Natural (White), Red and Yellow. 1/8", 3/8", 1/2" and 5/8" Teflon ® PTFE Tubing are only available in Natural (White) color. If you need another color please call. ** Teflon ® PTFE Tubing Bend radius is for room temperature bends. Heating tube to soft point prior to bending is best for permanent bends. Continuous Teflon ® PTFE Tubing lengths over 100 feet, in the following sizes 1/2" and 5/8", ship approximately four weeks after order. Teflon ® PTFE Tubing continuous lengths of 250 ft are now available in stock 1/8", 1/4" and 3/8" Teflon ® PTFE Tubing. For specific properties, see our Teflon ® PTFE Tubing Summary of Properties. For burst pressure values, see our Teflon ® Tubing Theoretical Burst Pressure Chart. Laboratory applications: Teflon ® PTFE tubing is used in various laboratory applications because of it's chemical resistance, and inertness. Teflon ® is the best way to prevent contaminants from adhering to a surface. Description: Teflon ® PTFE tubing is flexible tubing that is resistant to crimping and blockage. This is the preferred Teflon tubing for emissions measurement below 500F. For tube diameters or colors not listed here, please call. Material: Heavy Wall Polytetraflouroethylene (PTFE) Teflon ® Tube. Teflon ® is a registered trademark of DuPont. Teflon ® is the brand name for the Dupont fluoropolymer plastic resins PTFE, FEP, and PFA. These three are very similar in composition, temperature limit and chemical resistance but have slightly different mechanical properties that make each one better suited for some specific applications. PTFE is best for most gas sampling. 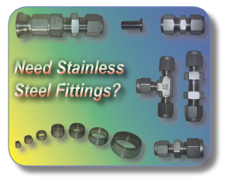 Clean Air Engineering’s PTFE tubing is virtually unaffected by weather or prolonged exposure to ultraviolet light. Independent testing on samples exposed to virtually all climatic conditions confirm the weather resistant properties of fluoropolymer tubing. Where applications demand complete dependability in these conditions, fluoropolymers are the answer. Click the button below to add the Teflon Tubing to your wish list.